Messier 89 is slightly smaller than the Milky Way, but has a few interesting features that stretch far out into the surrounding space. One structure of gas and dust extends up to 150 000 light-years out from the galaxy’s centre, which is known to house a supermassive black hole. Jets of heated particles reach out to 100 000 light-years from the galaxy, suggesting that Messier 89 may have once been far more active — perhaps an active quasar or radio galaxy — than it is now. 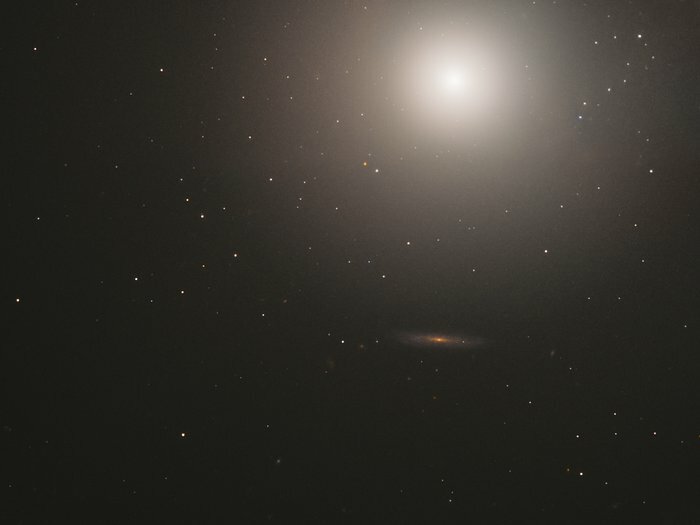 It is also surrounded by an extensive system of shells and plumes, which may have been caused by past mergers with smaller galaxies — and implies that Messier 89 as we know it may have formed in the relatively recent past. Messier 89 was discovered by astronomer Charles Messier in 1781, when Messier had been cataloguing astronomical objects for 23 years — ever since he mistook a faint object in the sky for Halley’s Comet. Upon closer inspection, he realised the object was actually the Crab Nebula. To prevent other astronomers from making the same error, he decided to catalogue all the bright, deep-sky objects that could potentially be mistaken for comets. His methodical observations of the night sky led to the first comprehensive catalogue of astronomical objects: the Messier catalogue! 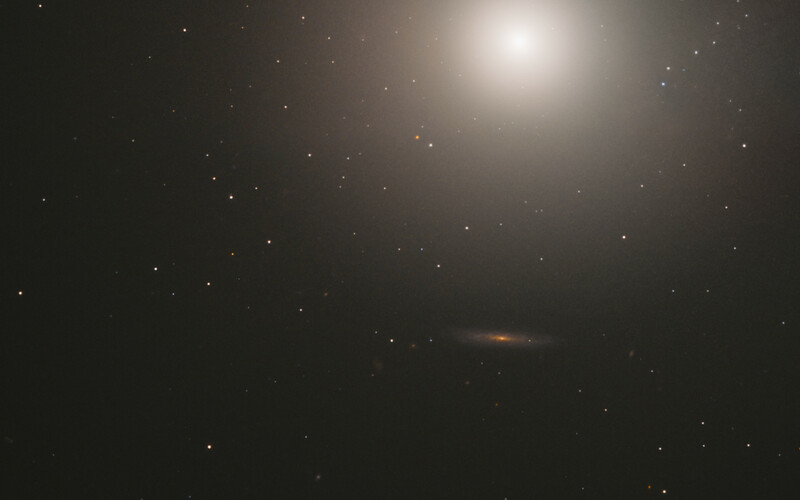 Messier 89 holds the record for being the last ever giant elliptical to be found by Messier, and the most perfectly spherical galaxy in the entire catalogue of 110 objects. ESA/Hubble & NASA, S. Faber et al. Position (Dec): 12° 34' 1.26"